Eat, drink and be merry! 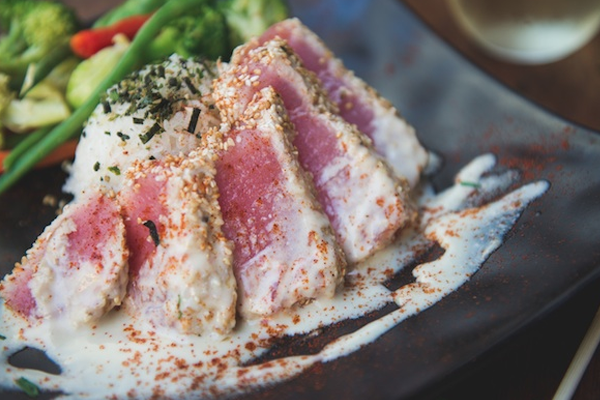 Down The Hatch offers everything you need to have a great night out – delicious food, great drink specials, all set in a relaxing tropical grotto of waterfalls and koi ponds in the lower level of the Wharf Cinema Center. They have a fantastic menu full of unique and tasty dishes, featuring fresh seafood, tacos, a variety of appetizers, and fresh salads. They even have items for the Keikis (Hawaiian for kids), and tasty Shave Ice at their sister location right next door – Breakwall Shave Ice Co.
Want to see our menu? Click here. Down The Hatch is open from 11am-2am daily (yes, you read that right – 2:00am for the night owls out there….) – serving food all the way up until midnight! For an over-the-top yummy sandwich, try their Lobster and Crab Stuffed Grilled Cheese. Or one of their unique menu items like Chicken and Waffles, Strawberry Summer Spinach Salad or Sweet Potato Tacos. 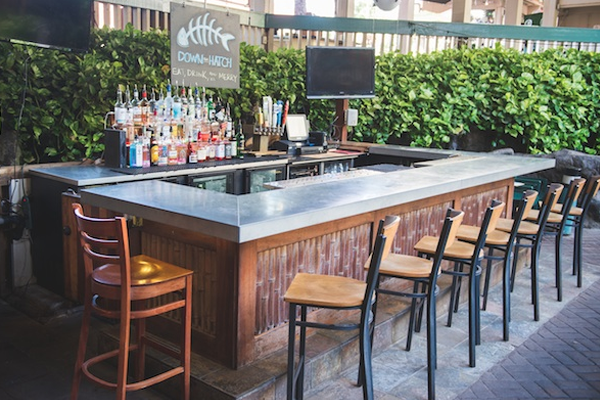 Down The Hatch has different weekly events, and boasts the longest Happy Hour in Lahaina – from 3-7pm daily. They have “Flip Night” on Saturdays – if you flip a coin and call it right, you get half off your tab! 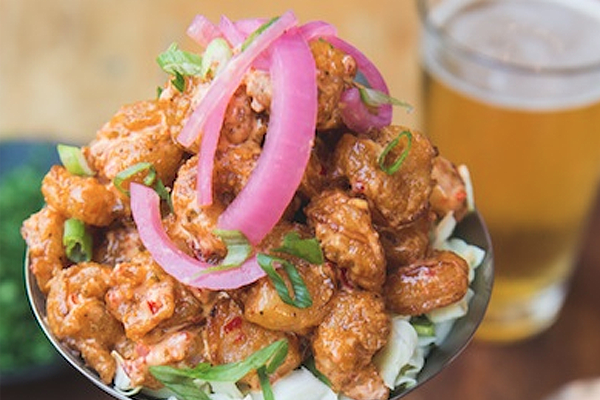 Or try Industry Night on Thursdays, where they offer 50% off the Late Night Menu starting at 10pm.